Acceptance is the key to inner peace! One of the great lessons of my life has been to not hold on to disappointments: they act like a heavy ball and chain. 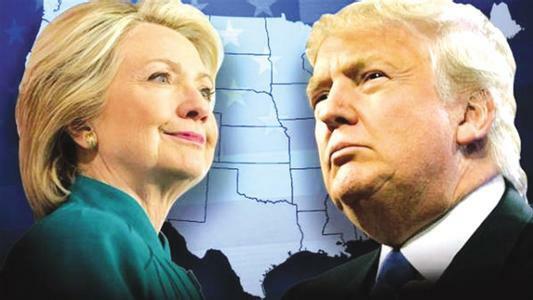 So many may be deeply disappointed and disheartened by the events of the 2016 US Presidential election. I have found that the best antidote to disappointment is acceptance. Without acceptance we stay mired in the unchangeable and stuck in the past. With acceptance we can move on and create different results and brighter tomorrows. It is only with acceptance that we can see the silver lining in the cloud. It is only with acceptance that we can grieve the disappointment and begin to let it go. 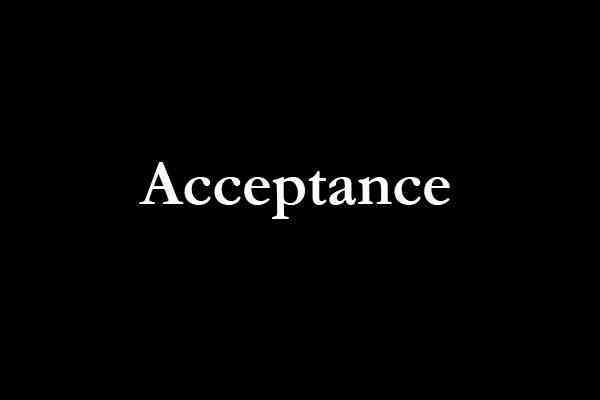 Acceptance falls into many categories: acceptance of yourself, of others, of outcomes and of situations we cannot control. Acceptance does not mean that we do not set boundaries, do not care or become apathetic. Acceptance is something we do for ourselves so that we can gain a level of inner peace and calmness. By accepting a situation as “temporary,” we can create an inner space where desired outcomes become reality. There is a reason the events of November 8, 2016 happened. It serves a purpose. In fact, it can have multiple purposes. The biggest purpose that I see (and I have discussed this with others over the last several years) is that our country still contains a highly racist and bigoted collective. Truthfully, friends, the events of this day are a golden opportunity for each of us to look in the mirror and take responsibility for what we truly believe. Being prejudice and bigoted doesn’t mean someone is bad; it means they are in some way deeply wounded. Prejudice and bigotry are aspects of fear. There is a saying that goes something like this: “you cannot give away what you do not have.” In other words, if you are full of hatred, anger, resentment and feel left out, you will project how you feel onto the world. On the other hand, if you feel love in your heart, possess compassion, empathy toward everyone, and genuinely appreciate all that you have and who you are, then that is what you will share with the world. Therefore, it is the responsibility of each of us to be open and willing to look within and see what we find. Sometimes we don’t like what we find, yet when we get deeply honest with ourselves we can begin to clean up our inner “house” and create real change for ourselves and the world. One of my heroes, Mahatma Gandhi said it best: “Be the change you want to see.” If we want America to be the shining star that everyone looks up to we must look within and see where we need to shine the light. As a nation we have not yet done this. We continue to sweep under the carpet our darkest feelings toward others both past and present. Until we get brutally honest with ourselves as a nation: bigotry, prejudice, hatred, resentment and blame will continue. We have made mistakes, both individually and collectively. It is time to admit our mistakes and shortcomings, take responsibility for allowing them to misguide us, and then let them go once and for all. We will see what unfolds in the coming days, months and years. This is my appeal to each and every one of you who reads this: look deep into your heart. Stop waiting for someone else to change. The truth is our politicians are not our leaders, they are paid servants of the people. We the people are the leaders; therefore, we as leaders must lead by example. What example are you setting for the rest of us? I have great confidence that it will be one that exemplifies the highest values and virtues: compassion, ethics, integrity, kindness and good-will to everyone. Bless you all!